17,000 Nova Scotians live with dementia and countless more family members and friends are also affected by the condition. Many people are unaware of what dementia is and how a diagnosis of dementia can affect your life and those around you. Dementia is a broad, umbrella term that represents a set of symptoms caused by disorders or diseases affecting the brain. The symptoms may include memory loss, difficulty in performing a familiar task, changes in language, impaired judgement, changes in personality, behavior or loss of initiative. 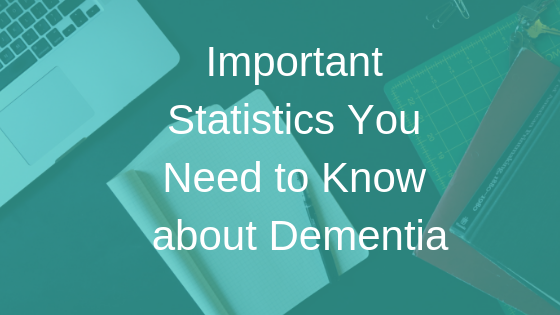 Under the general term of dementia, there are approximately 110 different causes. Alzheimer’s disease is the most common cause and the one you hear the most about. If you live with dementia or you care for someone who does, you aren’t alone. However, it’s easy for both a person with dementia and their care partners to become isolated, inactive or lonely due to the stigma that exists when a person is diagnosed with dementia. Stigma is often due to a lack of knowledge or awareness of a subject in the general population. It’s natural to fear the unknown and make incorrect assumptions when you just don’t know better. Statistics and numbers are powerful because they can help break down barriers. They indicate that you’re not alone with the challenges you face and provide perspective that dementia is a real issue that needs to be addressed. Someone in the world develops dementia every 3 seconds. Over half a million (564,000) Canadians live with dementia and that number is expected to increase to 937,000 by 2031. Over one million Canadians are affected directly or indirectly by the disease. 1 in 5 Canadians have experience caring for someone living with dementia. 87% of caregivers wish that more people understood the realities of caring for someone with dementia. 65% of those diagnosed with dementia over the age of 65 are women. Alzheimer’s disease is the most common cause of dementia and accounts for about 70% of all cases of dementia. Vascular dementia is the second most common cause of dementia. Smoking increases your risk of dementia by 45%. Aging is the greatest non-modifiable risk factor for dementia. 5% of Canadians over the age of 65 and 25% of those over age 85 have Alzheimer’s disease. What can you do now that you know dementia is an important health care concern that affects thousands of individuals? Start a conversation by sharing a few of these statistics. Let people know it’s okay to talk about a condition that affects the brain and the changes associated with it. Education is key in helping our communities and the people that live within them to become more aware of the condition, accepting of people with dementia, and willing to make changes. Do you have experience caring for someone with dementia? Will you join us in helping to break down the stigma of dementia?